Fur-tive, originally uploaded by [Zakkaliciousness]. 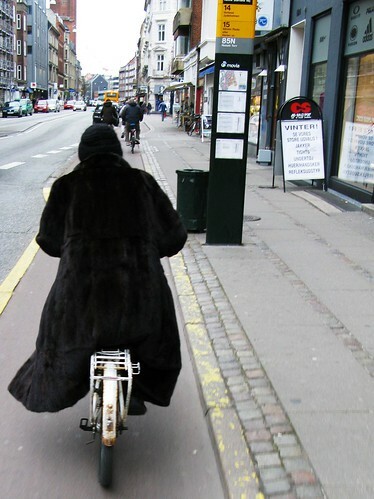 Respect to this elderly lady muscling it [ever so slowly] along the bike lanes on her ancient bike and flowing furs. This blog is one of the finest. It's a bit sad that pictureblogs aren't as appreciated as "regular" blogs. That is so cool and stylish. You go girl! thanks for the comments. you're right, blue penny, she's a role model for us all.